The April Birthday girls were- hooksnneedles and Mrs.Fife -Both these ladies are avid crafters..and I spent a long time thinking what to make for them.Finally settled on Decoupage coasters. 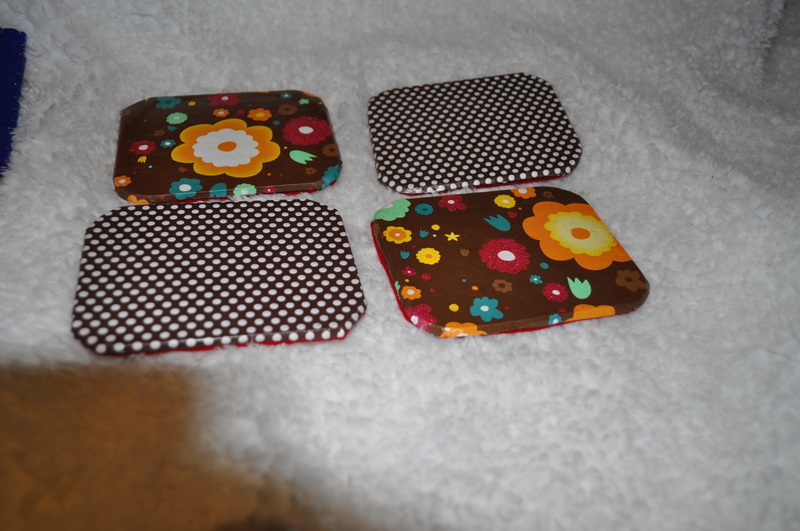 I made 4 spotted coasters and 4 retro-floral ones and then couldn’t decide which one to send whom.So,I mixed them up and formed this set. 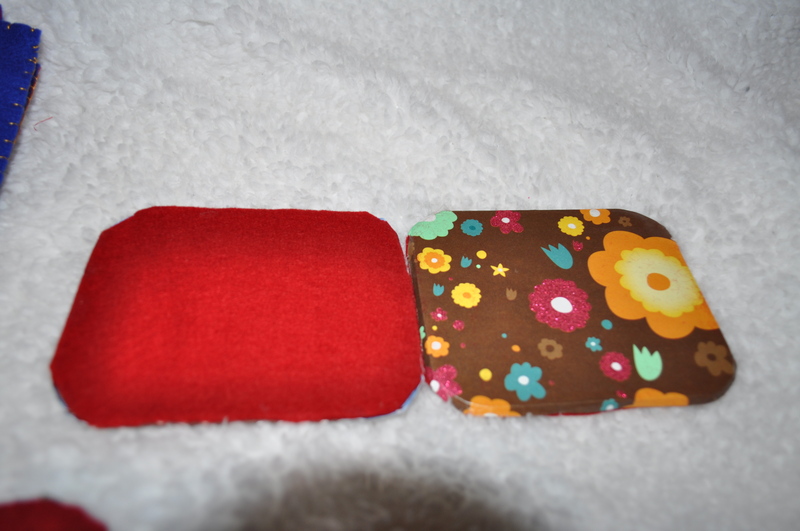 To give the coasters a neat professional finish,I covered the backing with felt pieces. Can you imagine my joy when hooksnneedles wrote back saying that she mistook them for store-bought ones! Using Modge-Podge gives the paper a nice glossy shine and also makes them durable.